People in the county of Dorset are set to benefit from shared health and care records, after a £7.8 million five-year framework contract was awarded to Orion Health. The Dorset Care Record (DCR) project is being led by Dorset County Council, working in partnership with local NHS organisations and borough councils. Each will contribute to the overall cost of the project, which is estimated at £20 million over 10-years. The new DCR will bring together information from hospitals, GPs, community teams and local councils, enabling summary details of a person’s medical or care history to be accessed in one place. Hoped for benefits should include improved coordination of care and communication between different health and care agencies, improving treatments and reducing delays. Patients will be able to access and contribute to their records online. Eventually, the DCR will bring together a range of patient and client information including: health problems and diagnoses; prescribed drugs; blood tests; pathology and x-ray results; next of kin, carer and care provider; hospital discharge letters; and care plans agreed between people and professionals. The platform for the development of the DCR will be supplied by New Zealand firm Orion Health. Implementation will begin in autumn 2017. The intention is to get up to 1,000 users reasonably quickly, ultimately reaching 7,000 users. In phase two patients and will start to get access to their records. There will be an “opt-out” function for patients who do not wish to be included. It will be rolled out from this autumn with the first phase including basic information from GP, acute hospital and community systems covering admission and discharge dates, appointments, and alerts. The DCR is closely linked to the Dorset Information Sharing Charter, which provides a foundation for the lawful, secure and confidential sharing of personal information between all organisations involved. Part of the £7.8 million five-year contract has been provided by the NHS England Integrated Digital Care Fund with additional funding coming from the partners. Health and social care organisations across Dorset have been working for several years to establish the DCR. National guidance that states all patients should have electronic records by 2020. Digital Health News reported in February that the project had to scramble to fill a budget due to a shortfall in capital funding. The project is supported by the health and social care organisations across the county: NHS Dorset Clinical Commissioning Group, Dorset County Hospital, Poole Hospital, the Royal Bournemouth and Christchurch Hospitals and Dorset Healthcare, plus Dorset County Council, Bournemouth Borough Council and the Borough of Poole. 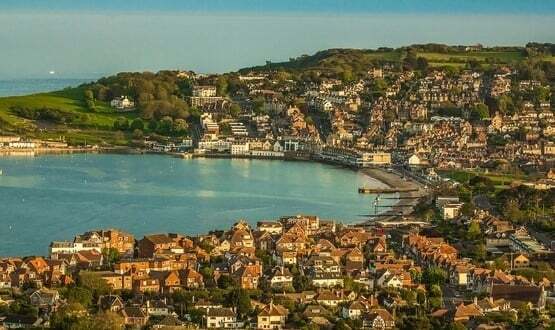 Dorset County Council’s chief executive Debbie Ward said the DCR “is a key element of our wider Sustainability and Transformation Plan to improve the treatment of people’s health and reduce inequalities”. There is also a long-term plan to extend the system to share data with other health and care organisations in the future, such as hospices and neighbouring NHS facilities that people in Dorset use. NHS Digital have set 30 September 2017 as the target date for the citizen identity project going live in selected work programmes.